Parliament has drafted new legislation which would effectively establish an asbestos board. 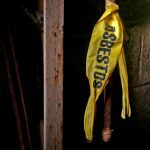 The Asbestos Safety and Eradication Agency is expected to work with jurisdictions to establish a nationally consistent method of asbestos eradication, handling, and awareness. The agency will also manage environmental and public health issues attributed to asbestos. The Asbestos Safety and Eradication Agency was a key component found in the Asbestos Management Review 2010. The introduction of the asbestos agency joins recently harmonised OHS legislation across the country in order to maintain a consistent national approach. Shorten stated that the agency is the first bristle in a broad stroke against illegal dumping. He hopes the legislation will encourage safe disposal across Australia. The new Agency is expected to be operational from 1 July 2013.